Toronto man 'angry' after learning his $8,100 master's degree that required no exams or academic work is fake - Marketplace investigation reveals Kings Lake University and others are phoney schools selling fake degrees. Such are the headlines in an article in CBC News By Trevor Dunn, Sep 14, 2017. Erwin Sniedzins doesn't trust traditional universities. So when the Toronto business management consultant found one offering a master's degree requiring no studying, exams, or academic work — for just $8,100 — Sniedzins thought it was a school sharing his unconventional approach to education. "I don't necessarily like to pay $30,000 to get a master's when I feel I already have the knowledge," Sniedzins said in an interview with CBC Toronto. Sniedzins said the degree issued by Kings Lake University, which he found by searching the internet, is based on his previous life experience and professional accomplishments. Sniedzins is president and CEO of Mount Knowledge, an educational software company. In his LinkedIn profile, he is described as an "Artificial Intelligence Gamification Patent Inventor, Key Note Speaker, Professor, Author." Sniedzins also has political aspirations. He ran for mayor in 2014, in a race won by John Tory, and received 104 votes. The article is bit of a paradox since Erwin Sniedzins´s anger not so much is due to that the degree is fake, but more because he is openly a supporter of anti-intellectualism (see the Matrix Dictionary entry: Anti-intellectualism and Anti-science). Sniedzins repeatedly told CBC Toronto that he never suspected a degree based on life experience that required no academic work, studying or exams could be fake as it was in line with his approach to education. "I thought that was great. They should actually have universities that do that," he said. So his anger is due to that people don´t accept this. When I read this I just thought: Wauw! Erwin Sniedzins is a kind of type I have met many times in my work as a paranormal investigator. Unfortunately I´m afraid that “universities that do that” is the future. The presence of these kinds of Diploma Mills are enormous, and so is the amount of people on the internet presenting themselves with such kinds of degrees. A diploma mill (also known as a degree mill) is a company or organization that claims to be a higher education institution but which offers illegitimate academic degrees and diplomas for a fee. These degrees may claim to give credit for relevant life experience, but should not be confused with legitimate prior learning assessment programs. They may also claim to evaluate work history or require submission of a thesis or dissertation for evaluation to give an appearance of authenticity. 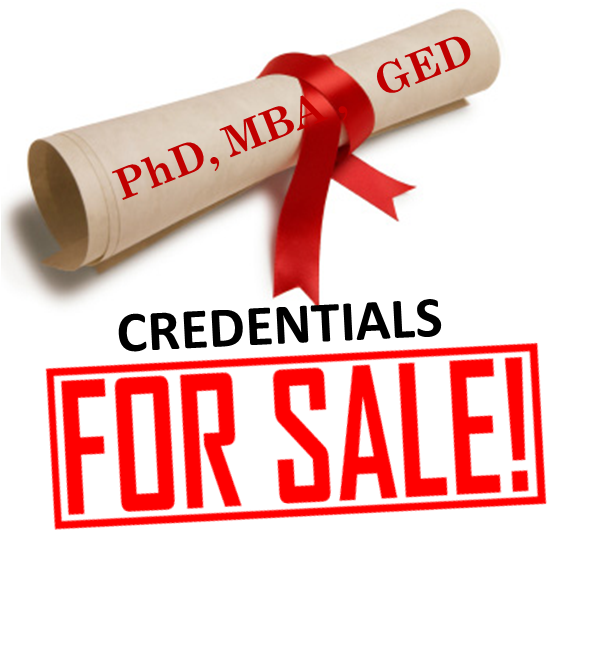 Diploma mills are frequently supported by accreditation mills, set up for the purpose of providing an appearance of authenticity. Diploma Mills are extremely widely used within the New Age and self-help environment, which is special characterized by the practitioners´ lack of education. If Erwin Sniedzins had taken a true degree he would probably have had to take a course in philosophy of science. The demarcation between science and pseudoscience has philosophical and scientific implications. Differentiating science from pseudoscience has practical implications in the case of health care, expert testimony, environmental policies, and science education. Distinguishing scientific facts and theories from pseudoscientific beliefs, such as those found in astrology, alchemy, medical quackery, occult beliefs, and creation science combined with scientific concepts, is part of science education and scientific literacy (read more in The Matrix Dictionary entry Bridge between Science and Spirituality). Apparently, Ms. Vaughan does not understand that scientific methodologies can be and are regularly applied outside a lab in the social sciences. Some of these methodologies are based on logical principles such as Mill's Methods, which most astrologers do not seem to believe apply to their discipline. Some of these methodologies involve the use of statistical analysis of data. Vaughan understands the need for statistical analysis, but does not believe the usual scientific protocols apply to astrology. She says that scientists "insist on statistical analysis using random samples. But astrology cannot be proved or disproved using random samples because astrology is based on the premise that conditions are never random." Vaughn's logic is one I am not familiar with, but it sounds like non sequitur thinking to me. Hereafter Carroll shows how astrology turns out to be a pseudoscience. Note that the claim of astrology being a pseudoscience wouldn´t have been made if astrology hadn´t itself claimed to be a science, but instead what it is: a system of faith. Vaughan can be seen as a Matrix sophist especially belonging in the intellectual propaganda department of The Matrix Conspiracy. She is a personification of how the anti-intellectual and anti-scientific movement behind the Matrix Conspiracy works, and which is due to the boost of Diploma Mills. But I think that what she especially refers to as “debunkers” is atheist fundamentalism, with Richard Dawkins as one of the horsemen. Atheist fundamentalists are certainly not good examples of skeptics, and not at all valid philosophers of science (see my booklet on Atheist Fundamentalism). Vaughan´s use of the worst examples also proves my claim, that atheist fundamentalism just makes the opponents´ case stronger. They are two sides of the same Matrix coin. Debunkers are not the historians and philosophers of science who are open to considering astrology as an alternative paradigm and recognize its importance in past cultures, but who believe it has since deteriorated. Here she refers to for example Paul Feyerabend and Thomas Kuhn, who both are a part of the postmodern intellectualism. Especially Paul Feyerabend is a controversial figure, who believes that it is false to discriminate between pseudoscience and science, and that science is no more valid than astrology. In my view he is a sophist and a betrayer of the essence of philosophy (see my article Constructivism: the Postmodern Intellectualism Behind New Age and the Self-help Industry. The first time I was introduced to the strange world of social constructivism (where Feyerabend belongs), was by my professor in philosophy, the late David Favrholdt, and I could hardly believe my own ears. My above-mentioned article on constructivism is inspired by Favrholdt´s celebration lecture November 2, 2001, in the occasion of the end-of-master celebration on Center for Philosophy, University of Southern Denmark. With his words, then we here speak about a reductionism, which conclusions are so rabid and stark raving stupid, that we hardly can give an account of them without immediately becoming accused of having distorted them – what Favrholdt at that time also was by colleagues on the philosophical institute on University of Southern Denmark. But read the article, and judge for yourself. So, all in all: Vaughan´s article shows some very important aspect of what I have explained is the intellectual background for New Age. "scientist debunkers [of astrology] have entered the realm of public school education." Vaughan invites us to go with her down the slippery slope to envision science "infiltrating" the humanities, religion, philosophy, ethics--where "even poetry and drama are at risk." Knowledgeable readers might shrug and laugh at Vaughan's notions and suppose that astrologers aren't going to get that close to any school curriculum. Think again. Astrologers have children and can belong to the P.T.A. Their kids can bring them to school for show-and-tell. Or, they could have credentials like Vaughan. She has a master's degree in Information Science and is the director of a science education library, where her duties include staying current with "guidelines and trends in science teaching, and to review the latest curriculum materials available." I wish I were kidding, but it gets worse, because astrologers now have their own college. In its psychologized form, astrology is a type of New Age therapy used for self-understanding and personality analysis (astrotherapy); that is: a reductionism. This is in short what Kepler College promotes. Kepler College promoted itself as the only institution in the Western Hemisphere to offer bachelor's and master's degrees in astrological studies and 31 students enrolled for the first term in July 2000. The majority of coursework was offered online, allowing students from across the U.S. to enroll with the requirement that they were present in-person for one week of the 11-week term. Kepler College did not obtain the required accreditation status by 2010 and as a result, the HEC Board revoked Kepler's right to grant degrees. After losing this authority, Kepler became an online certificate program. Kepler college is therefore not the diploma mill it was in the start. Kepler College has held distance learning symposia but it is to be expected that it will engage in outreach programs, perhaps fulfilling Vaughan's dream of a grass roots infiltration of curricula in public schools. It seems like the astrology propaganda website The Cosmic Intelligence Agency (C*I*A) is right: the title C*I*A says something about a very common way of thinking in New Age: there is something “dangerous” going on (we´re: living on the edge of chaos); a conspiracy is at work, and this requires some “experts” to solve this problem. While the monster of the week might draw the viewers in, it´s the promise of The Conspiracy being revealed that keeps them watching The X-Files. The secretive shadowy Conspiracy supposedly runs through most aspects of our lives and we don´t even know it. A typical trait of New Age is to use all kinds of topics in popular culture, and blend them with their theories. It doesn´t matter if it is fact or fiction. What matters is if it works! Though not FBI agents, but C*I*A agents, I´m quite sure that The Agents of Change of this website would like to compare themselves with Mulder and Scully (see my pop culture file The X-Files). My claim with The Matrix Conspiracy is, contrary to the traditional conspiracy theories, that it is the conspiracy theories themselves that, among others, constitute a conspiracy and a kind of shadow government in popular culture, and that it is the promoters of these ideas who are the Men in Black. And the concept of C*I*A agents fits very well into that hypothesis. Completely unintended the C*I*A website reveals that the just mentioned description is in fact a part of their worldview. Due to the enormous popularity of New Age in popular culture, and how it especially is working on the internet, I must admit that the future of our society looks bad. We are witnessing a slow destruction of science and philosophy, and therefore the foundation of our education system. We are even witnessing an exploitative form of colonialism and one step in the destruction of Indigenous cultures, and eventually all the original wisdom traditions (see my booklet The Psychedelic Experience versus The Mystical Experience). We will see how incompetent (fake) scientists, doctors and scholars slowly are taking over schools, working places and hospitals. We will see the new world order emerge: the world of alternative history, alternative physics, alternative medicine and, ultimately, alternative reality. At first this might seem like a bit paranoid, right? But just try to have a look on the medias, try to pay attention to it, and you´ll see that it´s already happening. If a “critical” documentary on for example astrology is shown, you can be sure that it is people like Vaughan that will win, or else the viewers would protest (see my Matrix Dictionary entry on Oprah Winfrey). I have personally directly experienced the invasion of the education system when I tried to take an education as a social- and health care assistant (a government approved education in Denmark). Here I quickly found out that Neuro-linguistic Programming (NLP) and Nonviolent Communication (NVC) were a part of the curriculum (see my articles Neuro-linguistic Programming (NLP) and Large Group Awareness Training (LGAT) and Nonviolent Communication is an Instrument of Psychic Terror). Quackwatch: Your Guide to Quackery, Health Fraud, and Intelligent Decisions.